What do we mean by a "qualifying investment" in a host state? Once a party demonstrates that it is a qualifying investor (as discussed in an earlier instalment), under an investment treaty or the foreign investment laws of a host state, the assessment turns to whether the party has a so-called "qualifying investment" in the host state. In this instalment, Jackwell Feris highlights that without an investment being deemed as a "qualifying investment" in a host state, a qualifying investor will not derive any protection for such investment under an investment treaty or under certain instances the foreign investment laws of the host state. The recent ICSID case of Cortec Mining Kenya Limited, Cortec (Pty) Limited and Stirling Capital Limited v the Republic of Kenya (decision dispatched on 22 October 2018), is an on-point example of making sure you have a qualifying investment in a host state. This case involved the question whether a mining licence granted by the Kenyan government, but later revoked by the newly elected government of Kenya in 2013, on the basis that the mining licence granted failed to comply with the express legal requirements of the Kenya Mining Act and other relevant Kenyan legislation (with Kenyan high courts also confirming the invalidity of the licence during a judicial review proceeding), constituted an protected investment that qualifies for treaty protection. The claim by Cortec Mining was that its investment was nationalised by the Kenyan government. 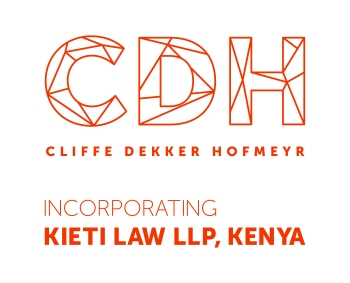 The ICSID Tribunal in the Cortec Mining case concluded that investment treaty protects only lawful investments, the claimant failed to establish any compensable investment that was lawfully issued in accordance with the laws of Kenya. The Cortec Mining case highlights the importance for investors to ensure that an investment in the host state is a qualifying investment for purpose of treaty protection under an investment treaty. Failing do to so, essentially implies that even as a qualifying investor you are not entitled to the substantive rights (i.e. guarantees against expropriation, fair and equitable treatment etc.) provided for under an investment treaty as the investment is not a "qualifying investment". From an ICSID perspective, compliance with the requirements of article 25 of the ICSID Convention is paramount for the ICSID to accept jurisdiction over an investment dispute (even though the term investment itself is not defined in the ICSID Convention). With reference to various ICSID cases a definition for 'investment' has been developed. Notably the so-called Salini-test set out that for an activity to be deemed an investment it must, amongst others, be for a certain duration, contribute to the economic development of the host state and there must be some assumption of risk. An economic characteristic, which entails a commitment of resources or a contribution that have created assets. Also, of importance is considering issues such as a) the timing of the investment (was the treaty enforce at the time of the investment?) b) pre-contractual expenditure (are these covered or not?) parent company claims (indirect investments: shareholdings claims) d) activities outside a host state that leads to an "economic effect" within the territory of the host state (to what extent are those covered).